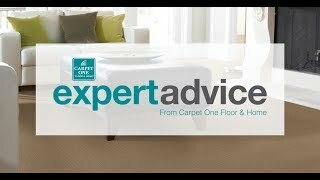 Fox Floors Carpet One Floor & Home in Staten Island is your local leader when it comes to quality carpet. We have one of the area’s largest selections of quality carpets, and we also have design and installation teams who will help you handle your specific carpet. So, if you’re looking to add the style and comfort of carpet to your residential or commercial setting, visit our showroom today! Carpet can also be installed in commercial settings. Commercial carpet tends to be harder underfoot than residential carpet, but it is more durable. It can handle heavy traffic and stains, and it also remains easy to maintain. Carpet tiles are popular in commercial settings because they are exceptionally durable and easy to clean and even replace. They are installed like regular tiles, but they do have real carpet constructions. There are a few different carpet types from which you can choose. For residential settings, we recommend popular options such as Berber carpet, shag carpet, and frieze carpet. Berber carpet might be the most popular, as it seems to combine style with performance. Berber is available in wool and nylon constructions. In heavy traffic areas, however, frieze carpet is more appropriate because it does well to handle foot traffic and other impacts. If softness and luxury are your main concerns, shag carpet is a great choice because of its thick construction. Carpet is made to be resistant to stains, fading, wear and more, so that means you can install carpet in several different places around your home. Common places to install carpet include bedrooms, living rooms, children’s playrooms, as well as hallways and even stain cases. Keep in mind that carpet is an absorbent material and should be kept away from areas of your home with high humidity and moisture. In addition, we not only offer a great selection of carpets; we also offer a few different services. Our in-store designers will help you make the perfect choice for your setting, and they’ll accommodate any design specifications you have in mind. And, after you make the perfect carpet choice, we’ll work with you to handle carpet installation. We also offer a great selection of carpets; we also offer a few different services. Our in-store designers will help you make the perfect choice for your setting, and they’ll accommodate any design specifications you have in mind. And, after you make the perfect carpet choice, we’ll work with you to handle carpet installation. We carry a wide selection of carpet brands for you to choose from. Ranging from well known brands to Carpet One exclusive brands, we have something for every home. Not all carpets are made to be the same. Each type of carpet has a special function and we can help you decide which type of carpet would be perfect for your home.